View More In Mystery & Wonders. For as long as people have been viewing the masterpieces in this book, they’ve been asking the same questions: Why is the Mona Lisa smiling? Who was that girl with the pearl earring? What made Magritte’s reading woman so frightened? 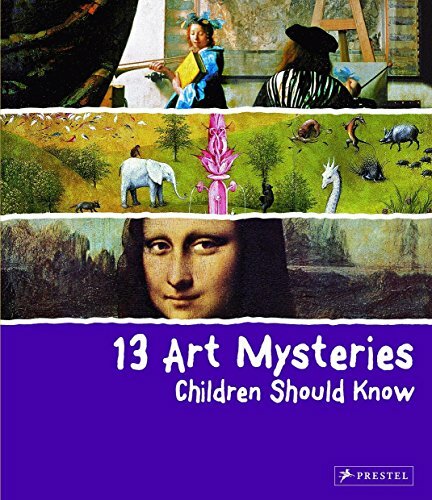 These and other great mysteries of the art world are explored in this colorful, fun, and informative children’s book. Each masterpiece is presented in a double page spread with stunning reproductions, biographical information about the artist, historical context and the pressing questions themselves. From Bosch to Banksy, the mysterious life of Caravaggio to the strange room in Velazques’ Las Meninas, Surrealism to stolen art―young readers’ interests in some of the world’s great masterpieces will be piqued by the puzzles they offer and that remain unsolved to this day.